Ronnie Milsap and Connie Smith performed throughout the 2013 season, however they aren't currently performing in Branson, and have not yet announced plans for a return. In 2013, Ronie Milsap & Connie Smith will be performing at the Oak Ridge Boys Theater in Branson! 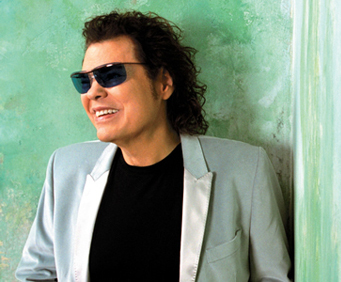 One of the most popular and influential performers of the 70s and 80s in country music, Ronnie Milsap was born in January of 1943. He was born with a congenital disorder that left him almost completely blind. During his childhood, he lost his remaining vision. However, he still contained a love for music that did not go unnoticed by his instructors. He became classical music and mastered the piano. Over the next few years, he developed a passion for rock and roll. After briefly attending college in Georgia, he left to pursue a career in music full time. In the early 60s, he played his first professional gigs as a member of J&period;J. Cale’s band. Also in the early 1960s, he released his first single and soon after became an R&B artist for Scepter Records. In late 1972, he moved to Nashville, where he changed course to try his hand at country music. There, he gained great success in the genre, and became a member of the esteemed Grand Ole Opry in 1976. Throughout his years as both an R&B performer and a country artist, Milsap peaked at the Number One spot numerous times with his singles like “Pure Love,” “Please Don’t Tell Me How the Story Ends,” “(I’m A) Stand by My Woman Man,” “Let My Love Be Your Pillow,” “Only One Love in My Life,” “Nobody Likes Sad Songs,” My Heart” and “Cowboys and Clowns,” among many others. He has been recognized countless times by the Academy of Country Music, Billboard magazine, CMA, the Grammys and Music City News Country. He has won six Grammy awards, including five Best Male Country Vocal Performance and one Best Country Collaboration with Vocals for his work on “Make No Mistake, She’s Mine” with Kenny Rogers. In 2002, he was inducted into the North Carolina Music Hall of Fame. He has also sold over thirty-five million albums and has had forty Number One hits. In 2006, he was awarded the Career Achievement Award by Country Radio Seminar. The next year, he also received the Rocketown Legend Award. 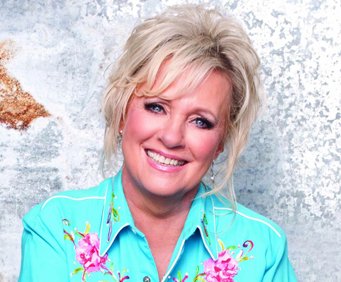 Connie Smith always knew that she was going to be a country music star. At age 5, she remembers saying, “Someday I'm gonna sing on the Grand Ole Opry [stage].” As a child she was surrounded by music, her stepfather played the mandolin, two of her brothers played the fiddle and guitar, and she herself learned to play the guitar as an early teenager. In 1963, at age 22, Smith was a housewife with a newborn baby living in Ohio when she and her husband trekked to nearby Columbus, Ohio, to see Opry star Bill Anderson. While there, she was talked into entering a talent contest. Little did she know this decision would start her country singing career. She won the contest and was able to meet Bill Anderson who offered to help her launch her career with an appearance on the Ernest Tubb Record Shop radio show in March, 1964. Ernest Tubb heard her perform and asked to come back to Nashville with him to record demos. The next month, she signed with RCA Records and recorded Bill Anderson's song, “Once a Day.” The song hit No. 1 on the Top Country Songs Chart. Other Top 10 hits followed including “I Can't Remember,” “Nobody but a Fool,” and “Cincinnati, Ohio.” In 1965, she was invited to become a member of the Grand Ole Opry, her dream since age 5. In 1997, Connie married fellow Opry country musician, Marty Stuart. The couple had actually met in 1970 when Stuart attended one of her concerts at age 11. He wore a bright yellow t-shirt to the concert so that Connie would notice him during her performance. She finally noticed him 25 years later. Dolly Parton said, “There's really only three female singers in the world: Streisand, Ronstadt, and Connie Smith. The rest of us are only pretending.” After 50 years in country music, that statement is still true. We were lifted so high by these two amazingly talented performers! Such good song selections and great acoustics made our near-the-back seats plenty good enough.